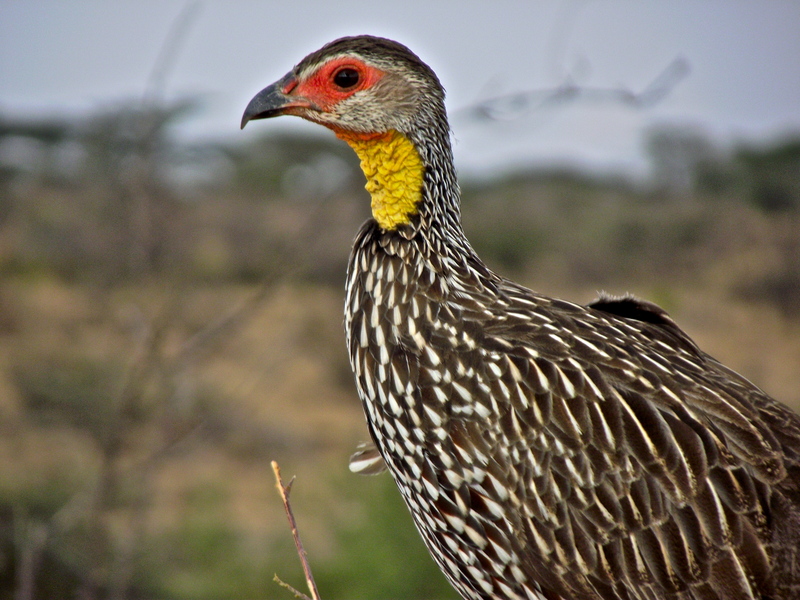 This is a Yellow Necked Spurfowl, which are are native to Kenya, and can be seen in many of the parks in Kenya. I think these birds are really pretty, and I like seeing all the different birdlife in Kenya. This was taken in Buffalo Springs National Reserve, which is a really nice park, located really close to Shaba National park. You can visit both in one day; do a morning game drive in one park and an afternoon game drive in the other. This photography was taken at Maasai Mara National Reserve in Kenya. We went out on an early morning game drive and found this young cheetah along with it’s brother, just laying down along side the dirt road. We found these two not too far from where we were staying, a place called Fig Tree Camp. The camp is beautiful, the staff were really friendly, and the location was great; we saw tons of wildlife on the game drives that we took from this hotel, and the view from our tent cabin was really beautiful. Maasai Mara is my favorite park, and having stayed in more than one hotel there, i’d still recommend this one, it’s further from the gates of the park than some of the other hotels, but it’s well worth the drive. Two male Impalas in a minor head lock, they were butting heads for a little, but it was a play fight, nothing too bad. This photo was taken in Kenya at Masai Mara.